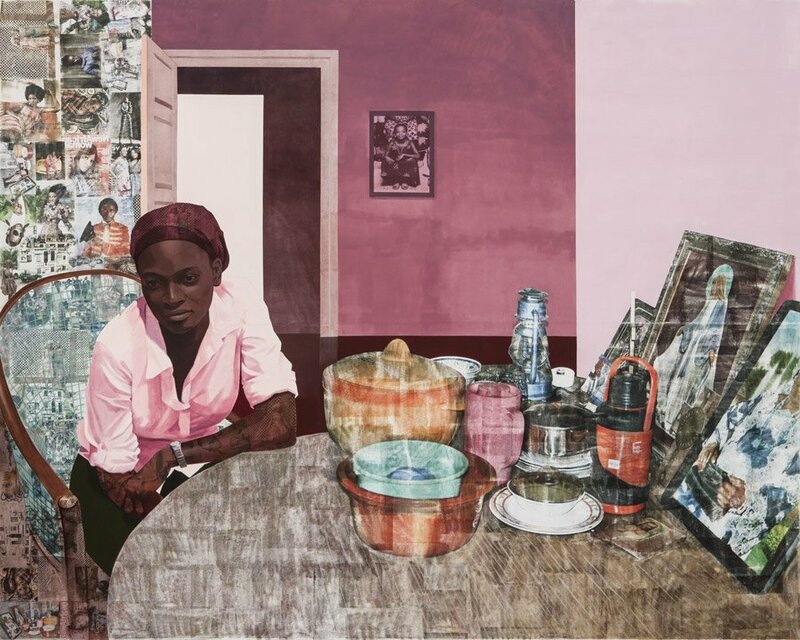 A young Njideka Akunyili left Nigeria for the U.S. at 16. She decided to forsake medical school to pursue painting and tell a different, more personal side of Nigeria’s story than what she saw portrayed in the media. 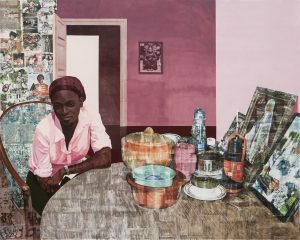 “The Predecessors” digs deeply into the now-married Akunyili Crosby’s past, collecting portraits of her Nigerian family in a range of domestic settings. The exhibition will unite this series for the first time, bringing together individual pieces from London, Johannesburg, New York and Los Angeles. Exhibit runs through Oct. 1. British-born, New York-based sculptor and artist Benson explores the social reverberations caused by geo-cultural separation. She uses music to tell the story of two Iraqi brothers who escaped from Baghdad in 2002. A dual-channel video, “Finding Baghdad (Part A),” serves as the show’s centerpiece. 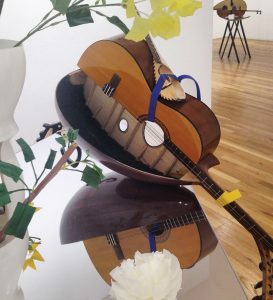 The video begins with two instruments as they are perfectly split in two, then proceeds to a virtual duet played by the brothers on these half instruments, each on his own screen, from their respective homes in Germany and Bahrain. 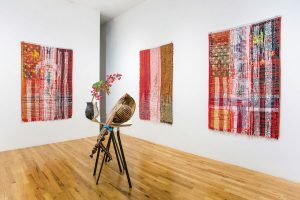 The full exhibit, “Half-Truths,” also includes sculpture, drawing and weaving to expand upon the themes of division and connection. The artist constructs new forms out of broken pieces of the past. (Hanging) “Family Portraits (III and I)”, 2015, hand shredded and woven flags ” A Place for Infinited Tuning IV,” 2015, hand-cut djoze and oud, plywood, mirrored plexiglass, Velcro and latex paint. The opening celebration will include a live duet composed by violinist Eddy Kwon (The Happy Maladies, MYCincinnati) using the artist’s split instrument. Exhibit runs through Oct. 22.